You'll be £25.00 closer to your next £10.00 credit when you purchase Railways in the Landscape. What's this? 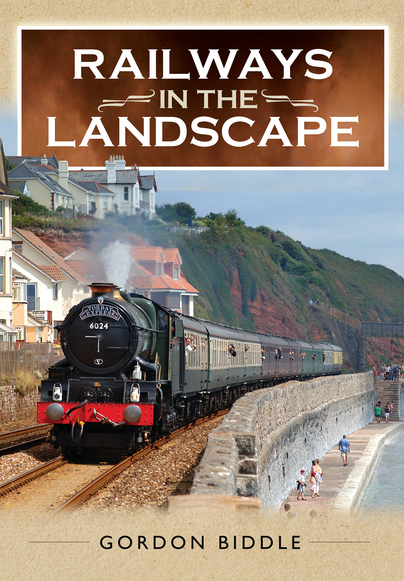 No one is better suited than Gordon Biddle to produce this compact readable survey of the visual impact that railways have had on the British landscape. This brilliant book could well be a companion volume to the Full Steam Ahead TV series. Superb. The 19th Century saw an explosion of rail building in the British Isles. By the end of the Century, it was possible to travel by train to almost every part of the mainland. This enabled people who had previously travelled rarely and for short distances to speed up and down the British Isles and to enjoy some of the most fantastic scenery. This delightful book is lavishly illustrated throughout with monochrome and full colour images, a visual treat.